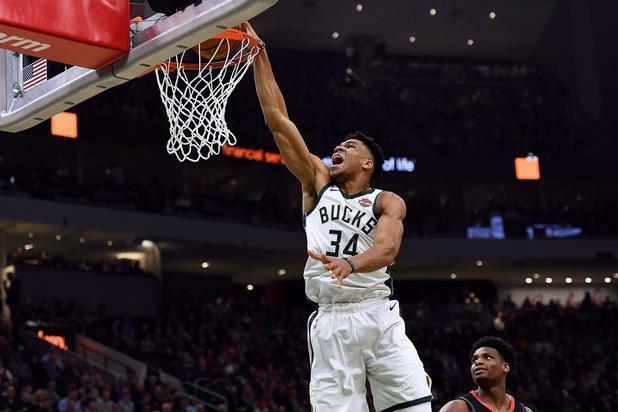 The Milwaukee Bucks did not go into Thursday night’s game with the Los Angeles Clippers needing a win. There interest is more in continuing to play at a high level as the playoffs approach and remaining (or getting) healthy. They accomplished one of those goals, but they failed at the most important one at this time of year for a contender—remaining healthy. Giannis Antetokounmpo threw down a dunk with about eight minutes to go in the game to put the Bucks up by 17 points, 108-91. But in the process of retreating to get back down court, he collided with Clippers guard Garrett Temple. He hit the court clutching his right ankle, the same one he injured a couple of weeks ago against the Philadelphia 76ers. Back when that happened, he missed a couple of games. But his desire to play and work through the discomfort brought him back before the original injury had healed. Of course, when you take that approach, you risk suffering a more debilitating injury and having no choice but to miss games. But with the playoffs and a title run just a couple of weeks away, the Bucks can’t afford to lose their superstar. He really wasn’t needed after the third quarter. The Bucks took a three-point lead after the first, 28-25. But then they opened the game up with a big second quarter to stretch their lead out to 21 points, 67-46, at the half. The third quarter was a little more competitive. However, the Bucks were still able to build onto their lead heading into the final quarter with the score, 100-77. Prior to Antetokounmpo’s injury, the Clippers had begun to narrow the gap. But with a 23-point hole against arguably the best team in the NBA was a tall task. After Antetokounmpo went down, they were able to close the gap a little more but not nearly enough. The Bucks held on to win 128-118. Antetokounmpo left the game with 34 points, nine rebounds, and five assists. But the Bucks were led by Khris Middleton with 39 points, nine rebounds, and five assists followed by Eric Bledsoe and Sterling Brown with 15 each. Shai Gilgeous-Alexander led the Clippers with 21 points. The Bucks will have a couple of days off before they have to play again. However, with the end of the regular season near, it will be shocking if Antetokounmpo is active when the Bucks take on the Hawks n Atlanta Sunday afternoon. As for the Clippers, they will have Friday night off but then host the Cleveland Cavaliers on Saturday.